When turning to page 10 in the recent issue of ULMA News No. 16; Uni-span felt immense pride. 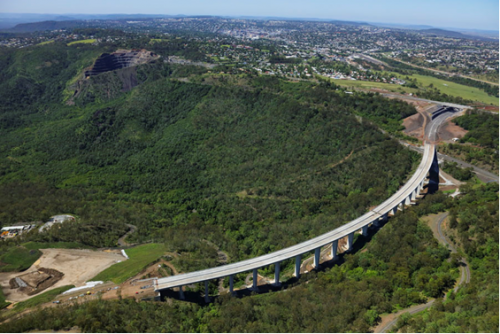 Not only for being involved in this significant project (Toowoomba Second Range Crossing), but for gaining recognition on an international platform, alongside some other impressive project structures all over the world. For Uni-span, this project has demonstrated the versatility of our ULMA formwork systems as well as the strength, diversity and expertise of our team. Read the full edition of ULMA News No. 16 here. Aerial view of the TSRC viaduct.